Filezilla is one of the best application for transferring file from your computer to the server.Filezilla is a free FTP software which available for both client and server.Filezilla is open source and cross platform(available for windows,Mac,BSD and Linux based os like Ubuntu 10.10/10.04,Fedora,opensuse..).Filezilla Client version 3.4.0 beta1 was on last month(jan 2011).As a Ubuntu 10.10 users I would strongly recommend FileZilla for transferring file in web development purposes. FileZilla supports FTP,FTPS(FTP over TLS/SSL) and SFTP(SSH File Transfer Protocol). available for Windows,Linux based OS,Mac and BSD. #1 : Open Ubuntu Software Center or Synaptic Package manager. #2 : Search for ‘filezilla’ and click on install(in USC) or check the box(in SPM) and click on Apply. #3 : Now wait for the installation to complete. #4 : That’s All , you are Done! Go to Applications->Internet->Filezilla to start the application. #5 : Now enter the server details – hostname(e.g. wxyz.com),username(e.g xxxxxxx) and password(e.g ******************) in QuickConnect Input Fields and click on QuickConnect.If everything ok,then the server’s directory will be listed successfully.Now save the connection details in site manager if you want to connect again to that server. Have Fun with Filezilla!! Let me know if you have any problem with filezilla ,through comments. This post will explain about some simple methods to Download YouTube videos on Ubuntu 10.04 Lucid Lynx.You can do it either from command line or Terminal or in graphical interface by using some plugins in Firefox.Two common methods are explained here,which surely works in Ubuntu 10.04. It’s very simple and fast.There is a simple utility called youtube-dl for downloading videos from terminal.So install the youtube-dl package. Then you can open youtube and copy the url of the video you want to download.Enter the url with the command to download the video. If you don’t want to mess with command line then surely you will go with this method.What you have to do is to install a plugin which will automatically indicate a link when any videos are available to download in youtube or any other sites. Install it from Firefox Plugin Directory or from Firefox Add on Manager. 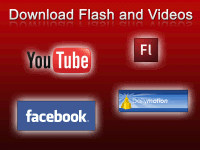 After installing the plugin,open youtube and play the video you want to download.Then you will notice an arrow link in Bottom Right Corner of the Browser.Just click on that,it will allow you you to download any flash files available on youtube or any other website,simple by clicking on the selected video files. 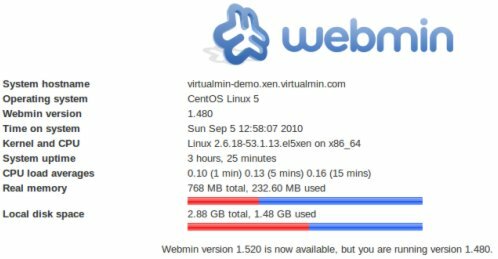 Webmin is a web based interface to administrate unix/linux system locally or remotely.You can use any modern web browser e.g firefox to configure and set up user accounts,Apache server,DNS(Domain Name System) like BIND DNS Server,File Sharing permissions,Firewalls,backup configuration,cluster copy files &packages,HTTP Tunnel,VPN,Jabber IM,Linux RAID,MIME Type,Log File Rotation,Scheduled Cron Jobs,bandwidth monitoring …and many other things.So you don’t need to manually edit the unix/linux configuration files e.g /etc/passwd ..and lets you to manage remotely or from console. #1. First install these dependencies either from command line(terminal) or package manager. OR in synaptic package manager search for the package name;mark it and click on apply to install it. #2. Now,download webmin from the link given below. #3. Install it by rightclick->open with Gdebi package Installer(OR just double click on it);then a new window will appear click on Install Package. After completing the installation procedure of Ubuntu 10.04 Lucid Lynx,I had finished installation of some Ubuntu extras like Adobe Flash,VLC,Google Chrome ..and so on.Then I searched for my favorite C++ IDE – KDevelop but it wasn’t there either in Ubuntu software center or Synaptic Package Manager.Then how can we install KDevelop on Ubuntu 10.04,well it’s very simple and how?that’s the purposes of this post.Later I found that KDevelop can be installed in three simple steps by changing Repository settings in SPM. #1. Open Synaptic Package Manager and click on ‘Settings->Repositories’.A new window (named as software sources) will open,then click on tab which says ‘Updates’ and check the box for ‘Unsupported updates'(close the current window). #2. Now click on Reload(Since repository settings have changed) to update the software listings and search for ‘kdevelop’;then mark the packages for installation and finally click on Apply(click OK if it asks for dependent libraries/API) to install KDevelop. #3. Wait…….for few moments until the installation is completed.That’s All! 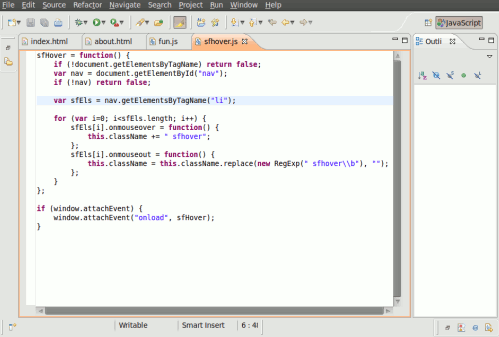 Open kdevelop from Applications->Programming->KDevelop and Enjoy the FUN! of programming. 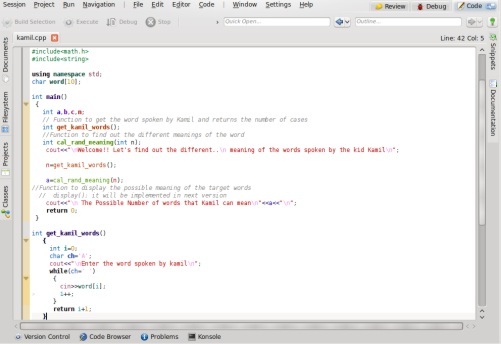 I Hope you have installed KDE successfully …if it’s true then let me know through comments else,what’s the problem?..write in a comment.